Bring ’em on—the October challenges, that is! Starting tomorrow, I’ll participate in two writing challenges of different sorts. The Submit-O-Rama is the brainchild of Khara House, poet/blogger extraordinaire at Our Lost Jungle. Khara has offered several levels of commitment so we can submit our work during October at a rate we’re comfortable with. 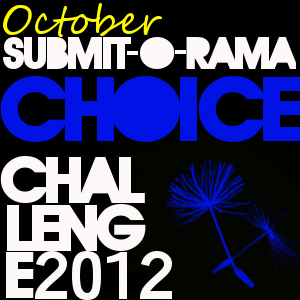 I’m going with the one I think I’m most likely to do–the Submit-O-Rama Choice Challenge–wherein I make my own rules. And my rules will be to submit one story a week over the next month–not the same story each time! 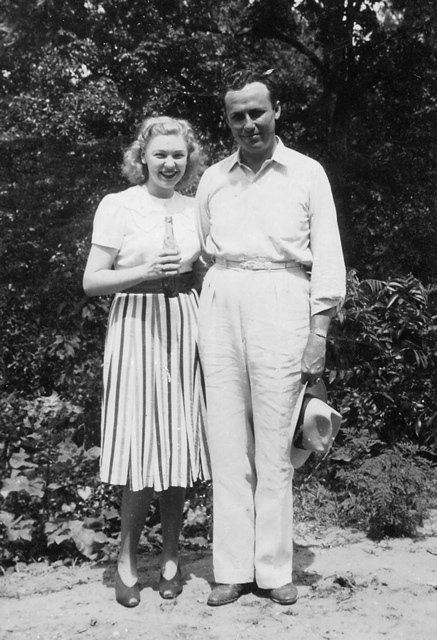 My parents, before I was born. The other challenge I’m subscribing to of my own free will is the October Memoir and Backstory Blog Challenge hosted by Jane Ann McLachlan at Join the Conversation. You’ll learn more about this one and my motivation for participating when you read the first memory blog post tomorrow: a memory before the age of two! Jane Ann has encouraged us to be creative, so we’ll see how it goes. Both of these challenges are great practices for the writing life! Visit Khara and/or Jane Ann and join in the fun. It’s not too late! And please do come back here tomorrow to see where the memory lane leads me first! I hope to get some remembered stories out of the memory challenge, Celi. You are such a natural storyteller! You’d enjoy this if you had time. I voted on a vista today, by the way. Looking forward to the changing seasons photos. I will be posting here with a link on Jane Ann’s site also. I’ll set other posts aside here to keep up with the memories. At least, that’s the plan. I have an editorial calendar of sorts worked out, but I keep remembering other things. It’s as though once you remember a thing, the floodgates open. Do come back when you can, Miss C.
Bring on October! Glad you are taking the challenges with me, Gerry. It will be fun to see how we all interpret them. I need a challenge to *finish* some things! I have 3 or 4 stories I need to get back to. Maybe the submissions challenge will motivate me to do that, too. That was my thinking, too. I am involved with four challenges. Yikes! But really all four are merely tools to help me focus on what was already on my plate. Luck to you!